Will You Marry Me Brownies ~ fudgy decadent brownies are an easy chocolate dessert that's deceptively simple and surprisingly persuasive. Beat the eggs with the cocoa powder, salt, baking powder, espresso powder, and vanilla until smooth and well combined. Melt the butter in a medium saucepan and stir in the sugar. Cook, stirring constantly, on medium low heat, until the mixture almost comes to a simmer, but not quite (don't let it bubble.) Stirring constantly helps the sugar to dissolve. Pour the hot butter into the egg mixture, gently beating or whisking well to combine. You aren't looking to incorporate any air into the batter, so don't use too much elbow grease! Blend the flour and the chocolate chips into the batter. Turn into your prepared pan and spread out evenly. Bake for about 28-30 minutes, or until dry on top and the edges are starting to look cooked and are just slightly pulling away from the sides of the pan. Cool on a rack. 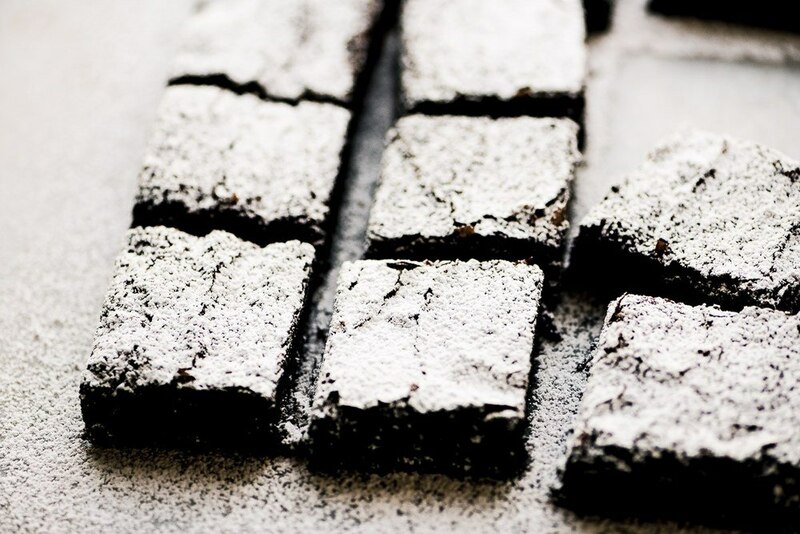 Dust the cooled brownies with powdered sugar if you like.